Polite, inquisitive, I told him my situation with my files, and he went through that computer so fast , in notime he was calling out my meds. My first impression, Awesome! Staff, fantastic ! All test are done on the on the premises, you don’t have to worry about going back and forth for test. I love it. Finally found my doctor for life. Thank you. Polite, inquisitive, I told him my situation with my files, and he went through that computer so fast , in no time he was calling out my meds. My first impression,Awesome! Staff, fantastic ! All test are done on the on the premises, you don’t have to worry about going back and forth for test. I love it. Finally found my doctor for life. Thank you. Dr. Hongxie Shen is an attentive and concerned primary care doctor serving the community of Philadelphia, PA. Dr. Shen attended Yanbian University Health Science Center, where he received his medical degree, and completed his residency in family medicine at Louisiana State University. 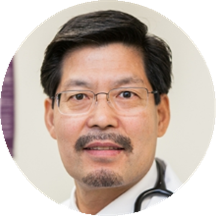 Dr. Shen is a part of Einstein Family Medicine at Elkins Park and is board certified by the American Board of Family Medicine. He is fluent in English, Japanese, Korean, and Mandarin. His awareness of these different languages makes him accessible to patients from a variety of cultural backgrounds. Dr. Shen is committed to helping his patients enjoy a healthier lifestyle. He works with each one to discuss ways they can make better choices for their health. Great listening skills, great recommendations and very professional. His staff was little unprofessional and unfriendly but I thought the actual doctor was pretty decent. Dr. Shen is a really nice doctor. He really cares about my sickness and gives helpful advices. I highly recommend him to anyone. Dr. Shen is a nice doctor who cares about their patients. Waiting time was reasonable and all staff was nice. I definitely recommend him as a family doctor. Provides the proper car and treatment needed. I highly recommend this doctor. Very professional. Clean office. Definitely trust this doctor. Dr Shen is a very caring and conscientious physician. I highly recommend him. Office staff is really nice too. Very thoughtful doctor, did not make me feel rushed, look forward to seeing him again. Great staff! Easy to make appointments. Nice office environment with parking. Dr. Shen addressed my concerns in a professional, timely, and friendly manner. Thanks! It was a clean office not crowded. He was able to address my concerns. He accepted my insurance.Good office hours. IT WAS SHORT, EASY AND FAST!!!! Dr. Hongxie Shen is an excellent doctor. The doctor has a very good bedside manner and excellent skills. The doctor is also very patient, compassionate and understanding and i found his staff also polite and helpful. Today was my very first one there. So far I'm very happy with the doctor and the staff. He was great, very patient and listened to my concerns. It was my first visit to the doctor's office , I was very stressed and anxious. When i meet him , he was a nice guy and every things become good, peace . When scheduling the appointment, I was on hold for >20 minutes. Dr. Shen was extremely professional and caring during my annual physical. This was my first time seeing him as my primary care physician, and the impression was excellent. Very caring to of my health as a doctor should be. The wait was great and the women at the front desk are kind even though they had to wait for me as I was the last patient of the day. Good location and all around good doctors office.